Sencha Touch provides one of the best User Interface frameworks for building mobile web applications. It is relatively simple to design mobile web forms using it but developers do come across a few hurdles while trying to customize it according to their requirements. A classic case is when developers want to change the colour of a specific list-item. This can be solved using the following three steps. 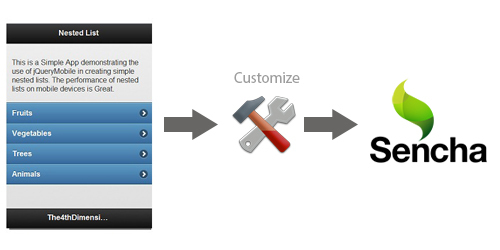 How to Customize your List-item using Sencha Touch.